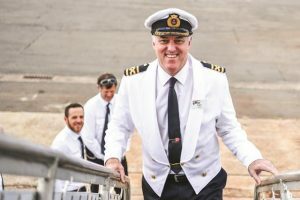 To mark Coral Expeditions’ 35th anniversary as the pioneer of small ship expedition cruising in Australia, the Cairns-based company has announced a one-time only circumnavigation of the Australian coastline onboard its new flagship, the Coral Adventurer. Only 60 cabins are available on this once in a lifetime voyage. 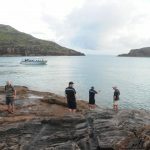 The 60-day voyage roundtrip from Darwin will depart 7th November 2020, visiting 35 places of maritime, cultural and natural significance that have shaped Australia, many of which are hard to reach by land. The journey will also feature overnight stopovers and events in coastal centres including Freemantle, Adelaide, Hobart, Sydney and Cairns. On Christmas day, guests will disembark in Cairns and be whisked away by private jet to a special “Australian Christmas dinner under the stars” at Uluru, jetting back to the ship that same evening. At historic Cape Leeuwin, guests will disembark to enjoy a private winemakers’ dinner at Leeuwin Estate vineyards. And in Sydney, an afternoon on glistening Sydney harbour will be made even more special by a special private charter of the historic barque, the James Craig. A crossing of the Great Australian Bight and excursions through the rarely seen Archipelago of the Recherche. Australian Geographic, who are expedition partners with Coral Expeditions and share a heritage and love of exploration and conservation around Australia, will play an important role on this sailing. They will enhance the curation of onboard educational content and shore excursion development for the voyage, and provide keynote guest lecturers and experts to join the journey. The 120-passenger Coral Adventurer has been specially designed by Coral Expeditions to suit this style of extended expedition cruising. The ship’s lightweight dual Xplorer expedition tenders, a trademark feature of all Coral Expeditions vessels, will extend the capabilities of the ship by allowing fast transit for all passengers with open views on shore excursions and deeper exploration into the visiting regions. A new multi-purpose space, the Barralong Room, will host interpretive activities and projects that connect guests in an engaging format throughout their voyage experience. Prices start from $38,860.00 per person (twin share) and limited sole use staterooms available on the voyage. The voyage will be on sale to the general public from November 29th, 2018. For bookings and further information, please phone 1800 079 545.